…and you know what that means: it’s wedding season! Brides everywhere are bustling about and tying up loose ends. And purchasing last minute wedding favors too, it seems, because we’re getting busy as bees! 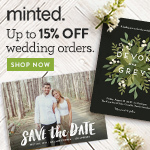 Spring and summer favors are hot and popular right now, and we’ve got a list of the newest and trendiest favors and supplies. 1. Lemonade and Cocktail Favors – These personalized drink mixes are the perfect and tasty solution for thirsty guests! Our packets mix up refreshing beverages for the warm weather and are now available in a ton of new designs and colors. 2. Seed Favors – Can you get any “spring-ier” than with flowers? Our seed favors are not only cute, but eco-friendly too! Plus a ton of them can be customized – check out all of them for loose seed packets and even the ever-popular plantable seed cards. 3. “Beach Party” Mod Party Kit – These party kits are brand spanking new and have everything you need to complete your bridal shower or other event. The kits feature banners, water bottle labels, stickers, invitations and much more. Check out the rest of the kits for other fun themes and party ideas. 4. Personalized Sunscreen with Carabiner – We’ve found that our customers love these, along with other personal care products. These are especially popular for the warmer weather and destination weddings – they come with a cool carabiner that can be clipped onto bags, key rings and more. 5. Personalized Beach Wedding Favors – Here you’ll find a ton of customized favors, plus our newest beach designs from Event Blossom on popular favors like drink mixes, jelly bean packs, glass favor jars and more. 6. Wedding Fans – You can’t go wrong with a hand fan to keep your guests cool at an outdoor or beach wedding. You can really spruce them up with a cool personalized tag or ribbon, or even double them as your place card holders. 7. Personalized Stemless Wine Glasses – These are still a best seller, even though we now have them available in a larger size. But you can’t beat this price, and now for an additional cost, only these are offered with gift boxes! They’re suitable for any event, with all the designs and colors available – and they can even double as votive candle holders. 8. Design Your Own Lip Balms – A #1 choice for bridal shower favors! Practical, cheap and absolutely adorable. 9. Elite Design Personalized Acrylic Luggage Tags – Luggage tags are popular for a few reasons: they’re personalized, can double as your seating assignments, reasonably priced, practical, and perfect for beach weddings. These designs are chic and modern. 10. “Pop the Top” Flip-Flop Bottle Opener – This is so popular, it’s sold out! But don’t worry, it’s scheduled to come back on April 12. So keep yourself posted by signing up for email notifications – this one is a winner! 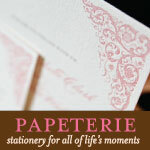 Shop around our site for other new wedding favors and accessories – we’re constantly adding new stuff. Happy first day of spring! The world of wedding favors is massive, and a large portion of it consists of personalized wedding favors. Looking for something that’s thoughtful and will always commemorate your special day? Then personalized favors are the way to go! Below I’ve listed some of our bestselling personalized party favors. And remember, even if something isn’t personalized, you can always add a custom stickers, tag or ribbon to it. 1. Personalized Shot Glasses – Even if your family and friends aren’t drinkers, these can double has a candle holder too! Check out the rest of our personalized glassware for similar items, such as our ever popular personalized stemless wine glasses, pint glasses, mugs, shooters and more. 2. Personalized Lip Balm – This is the best bridal shower favor! I am addicted to lip balm: I carry one in my pocket, stash extras in my purse, desk, and car. So receiving this as a favor would be completely practical for me. And they’re so cheap! 3. Personalized Playing Cards – Low budget, and cute! Sure, not everyone plays cards all day long, but even if they get stashed in a drawer, they’re bound to come out at some point when guests are over the house. The best part? The plastic case keeps them from getting bent. 4. Personalized Wedding Fans - These ones are our photo wedding fans – we love looking at all the pretty pictures of the couples who send them in! Perfect for outdoor and beach weddings. 5. Personalized Luggage Tags – Though we have many designs/styles available, the wedding theme one shown is the most popular, with various classic designs to choose from, as well as colors. Lightweight and practical! 6. Personalized Seed Packets – Or the popular seeded hearts I listed. These are a bit more unique than loose seeds in a packet, as you can display these beautifully (perhaps hang them off a tree branch, or use them as your seating assignments). The heart is plantable! 7. Personalized Candy Jars – This link will take you directly to our 2nd bestselling favor and top selling candy jar, our personalized apothecary jars. They’re complete with the silver metal lock. Stickers come printed separately so you can adhere them where you like. 8. Personalized Chocolate Favors – I especially love our newest additions: our personalized chocolate covered pretzels and graham crackers! Who doesn’t love chocolate? 9. Personalized Lollipop Favors – These are perfect for all ages! And for every 24 you order, you get a cool display box for the pops. The white satin ribbon is a lovely touch. 10. Personalized Hand Sanitizer – Perfect for showers and weddings alike! Girls can throw them in their purse, guys can keep them in their car or wherever handy. Be sure to check out our entire selection of personalized wedding favors! Have a great weekend! Key chain wedding favors are a favorite among brides for a number of reasons. They’re cheap, small, lightweight, rarely damaged, and absolutely practical. Key chains are the number one souvenir! Here’s a top 5 list of our best selling (and a few of my favorite) key chain wedding favors. 1. Crystal Heart Keychains – These beauties have been a best seller for as long as I can remember, and it’s no wonder as to why. What better favor for a wedding than a heart? The crystal is absolutely gorgeous, giving this favor a completely stunning appearance. It’s simple, yet elegant. 2. “You Light Up My Life” Light Key Chain – Don’t let the price scare you, these are sold as a set of six, but they’re currently on clearance! This useful piece will probably be discontinued after the last bath sells out, but I always loved the unique and colorful favor and packaging. And I always seem to need a flashlight, so this would probably be very useful to me! In fact, I used to have one on my key ring until I lost it! 3. Eiffel Tower Key Chain Favors – These only came out last month, and I’m surprised they’re still in stock. At only $0.80 a piece and as low as $0.50, you are seriously getting so much more than your money’s worth for this product. I love the fact that it’s three dimensional, unlike other Eiffel Tower key chains I’ve seen that are two dimensional. 4. Design Your Own Bottle Opener & Key Chain – You’re getting double the practicality with this one. Key chains are useful on their own, but a bottle opener too? Fantastic! Not to mention the free personalization – your guests will always remember your day and the fabulous favor you gave them. Plus, this one’s great for both men and women. 5. Crystal Clear Diamond Design Key Chain – Another elegant crystal piece, this one is still dainty but not as feminine as the heart (but don’t expect the guys to sport this one on their key ring). But this is a great choice for a traditional style engagement party favor as well. A personal favorite of the girls here at Little Things! Check out all of our key chain favors to find the perfect match for your wedding. And be sure to check out our key chain favors under $1.00 too – there’s a whopping 43 (out of a current total of 66 key chain wedding favors) there! Looking for Eco-Friendly Wedding Favors and Ideas? A very long time ago, I posted about having an eco-friendly wedding. Since I don’t want to be repetitive, I’m just going to ramble about our fabulous eco-friendly wedding favors. I love our eco-friendly favors, mostly because so much thought went into making them not only good for the environment, but making them pretty too. If you read my posts regularly, you’ll notice that I have a pet peeve for non-useful favors. Why are you going to spend money on something your guests are going to toss away after your wedding? I’m all about the practical stuff, or at least something you can eat or use at least one time. Hence why I am obsessed with our seed wedding favors. My absolute favorite eco-friendly wedding favor are our birdseed hearts that you see in the picture, but right now they’re currently out of stock until further notice. But because they were so popular (and we had no complaints about them), I had to throw them in there. Interested? Keep checking back on our website every few weeks to see if they’re back in stock. But great seed alternatives include our plantable magic beans (they can be personalized at no additional cost!) Since the seeds are shipped loose to you, a great idea is to purchase some of our personalized muslin bags (also eco-friendly, of course) and fill them up with seeds. For a really personal touch, attach a favor tag instructing your guests to plant the seeds when they get home to grow their very own beautiful wildflowers. Beeswax candles are another popular choice of green wedding favors. I personally don’t like candles too much, but our beeswax ones are definitely an exception. So are our personalized soy candles and our real coconut shells filled with soy candles – they smell SO good! If you’re not into candles, consider bamboo favors, such as our bamboo coasters. The great thing about bamboo coasters is that you’re virtually paying the same price as you would for a set of glass coasters, but you’re getting four coasters instead of the usual two (since they’re thinner, more fit in the packaging). I could sit here all day and tell you why I love our eco-friendly favors so much, but I’ll just let you find out yourself. Questions? Comments? Share your thoughts please! PS: Happy 11/11/11! I cannot tell you how many weddings are taking place today. I was actually hoping to devote a blog to the unique and popular wedding date, but was unable to gather enough information. All I really know is that Las Vegas will probably look like a bridal convention: an estimated 3,500 weddings were reserved at Vegas chapels today, which is more than triple the usual weddings that occur per day there. Deck the Halls…with Winter and Holiday Party Favors! Whether you’re shopping for favors for your winter wedding or a festive giveaway for your holiday affair, we’ve got all the winter wedding favors and holiday party favors that are going to make your event unique! Recently we’ve added tons of new holiday and winter favors to our site. As Christmas lovers ourselves, we know that everyone loves a fun holiday party! In fact, Erica has just invited a bunch of friends to her house for a holiday cocktail party, and I can’t wait to see which Christmas party favors she gives to her guests! Our selection of winter and holiday favors is so vast, you’ll have a hard time choosing something. We’ve got favors suitable for your winter wonderland wedding like crystal snowflake bottle stoppers and everything red and green for your Christmas wedding or holiday party. Some of our hot new items include nutcracker place card holders, tons of personalized drink mixes with brand new holiday designs available for the labels, a section completely dedicated to our large selection of angel favors, adorable holiday treats like holly berry sprinkled fortune cookies and Christmas character rice krispies, and unique holiday gifts that you won’t find anywhere else such as personalized ornaments. Shop our winter wedding favors for anything frosted with snowflakes, and check out our holiday party favors for all of our new unique gifts and fun holiday favors! After working here for almost 4 years now, I’ve noticed a popular trend of do it yourself wedding favors…and have seen brides worried and concerned about them even more. Today, most brides want to purchase unique wedding favors without breaking the bank, which is why DIY wedding favors are often considered. Yet at the same time, they don’t want their favors to look cheap. So, just how do you avoid working hard on your wedding favors, only to result in them looking low budget? When I (and most brides) think of do it yourself favors, the thought that automatically comes to mind is a flimsy favor box or organza bag filled with 5 Jordan almonds. Sure, it was popular back in the day, but today brides want something one of a kind. I don’t want to go too deeply into do it yourself wedding favor ideas (you can check out my recent article, DIY wedding favor ideas for some inspiration), but rather focus on just how you can avoid making your favors look cheap. 1. Quality is key. This especially goes for wedding favor boxes, but remember that just because you find one that is more expensive than the others, doesn’t mean it’s better. Your best bet? Browse our selection of favor boxes and give us a call when you find a few you like. There’s a good chance we’ll have it in our showroom and can give you a 100% honest opinion of the product. I can tell you right now that any item code beginning with the prefix LPP is great quality. 2. Personalize, personalize, personalize. Adding customization to your favors is a great way to avoid looking like you just threw some candy into a box, bag or jar. Hang tags look great on any of the three, and attaching them by a ribbon instead of a bungee cord makes a big difference too. It adds a pop of color to the favor and displays the tag better since it holds it tighter than a string. Personalized labels or stickers always look nicer when stuck over a piece of ribbon wrapped around the box (and you don’t have to worry about tying bows). 3. Add something meaningful. Whether it’s your favorite quote or a saying or something that symbolizes your relationship, your guests will know your heart went into making your favors special. For example, filling up a bottle with your signature homemade salad dressing or baking your favorite cookies and stacking them in a clear cellophane bag is something that really did come from you, but make sure to let your guests know that! Attach a tag that says “Baked with Love” or use your imagination to think up something clever to write. Custom CDs are another great idea that has become very popular: create a playlist of the favorite songs you share. Don’t be shy – tell us your ideas on how to make DIY wedding favors look more expensive! Did you know that the term “glass favors” and “personalized glasses” are popular search terms on the net in regards to the favor market? What makes this term so popular? Since I can remember (going back to when I was a teenager) personalized glasses are a traditional way of memorializing the day. Back in 1994 when I went to my senior prom – we received personalized candles in roly poly glasses to mark the occasion (funny, they came from one of our now suppliers, Fashioncraft). To this day, some of our bestselling items are personalized glassware! Glass favors though don’t just encompass personalized glasses, they also include our popular coasters, murano art deco favors, crystal, and the increasing popular glass candy favor jars. Design Your Own Apothecary Jars – Designed with tight rubber seals and a snap tight metal lock, there are over 200 different designs perfect for any occasion. These are perfect to fill with treats, although some assembly is required they are our #1 selling glass favor. Square Glass Coaster With Heart Design – Number #2 on our bestselling glass favor list – probably because coasters are pratical and these are exceptionally cheap for the quality! When you purchase 72 or more they are only .99 cents each! They also hold a photo too! Crystal Heart Keychains – A romantic crystal heart dangles gracefully from this keychain. It is perfect for any love-filled occasion and for only .99 cents (after a quantity of 30), you can’t beat this practical gift. 24% Genuine Lead Crystal Purple Rose – We can’t keep these in stock! As soon as we get shipments, they sell out. So if you are interested in this keepsake, pre-order them. Purple seems to be the color of the year. The crystal rose is elegant and dainty – making it the perfect favor for your guests to display in their homes. After all, who doesn’t like to receive roses? And at .99 cents on orders of 60 or more – these are great favors for parties and weddings! Design Your Own Glass Candy Jars – Popular for a number of reasons: they are retro designed like old-fashioned candy jars, they are personalized for free and they are only .89 cents with a minimum order of 36. Personalized Pint Glasses – These aren’t just for the beer drinkers (although they do work well for beer!) These pint glasses hold anything you choose – water, soda, ice tea, juice, etc… and I’m sure they will get use in your guests’ homes. Available in over 200 designs and 9 colors – personalized yours today! Personalized Round Shot Glass & Votive Candle Holder Favors – Whether your guests use these as a shot glass or a candle holder – the choice is theirs. Some of our customers have used these to hold candles and decorate their reception tables while others have used these at the bar. At 1.05 per personalized glass, its an easy choice! Set of 12 Personalized Glass Favor Jars – These are sold in sets of 12, so don’t let the high price tag shock you when you initally view these. On the smaller side than the other two glass jars featured in this post, but the personalized tags offered are much prettier IMO than on the other jars. Design Your Own Glass Mason Candy Jars – I love the size and shape of these, complete with a little handle. Fill these with sauces, jams, jellies, honey, spice mixes, candy – you name it. The stand a bit bigger than most measuring 3 ¼” tall x 2 ½” wide. Coaster wedding favors are among the most popular gifts couples will give at their weddings. Why? Coasters are usually cheap, simply packaged, practical and elegant – and no one wants their coffee tables ruined at home. That’s why you know your guests will use them. You can check out my article, The World of Wedding Coasters to see the different kinds of coaster favors on the market and why they’re great. Thinking of buying coasters as your wedding favors? Follow these guidelines to make sure you’re getting the best bang for your buck and make your shopping experience a whole lot easier. Budget - Like I said, many coaster favors are offered at low quantity prices for great quality. We’ve got a whole bunch offered as low as $0.99! But always take into account shipping costs, with glass coasters especially. Those things get heavy, and you may be surprised at how much shipping really is. Time - If you’re ordering last minute, I’d definitely recommend ordering extra pieces. Glass coasters tend to break easily, and you may find a few damages in your package. Of course, you can always contact us within 7 days of receipt of your package with a picture of your damaged items and we’ll replace them at no extra cost. But if your wedding is the weekend coming up, there’s always a chance we won’t have enough time to get them out to you. Packaging - Most coasters are packaged for display: a clear box with a simple white organza ribbon wrapped around and a thank you tag. Since most places won’t package any differently than what’s shown, remember if you’ve got the time, budget and crafty trait, you can always buy your own ribbon from a craft store to re-wrap the boxes. Or you can just buy personalized tags (many of our coasters are offered with them at an additional cost). Size - Luckily for you, most coasters are roughly the same size (3.5″ square), but always double check the size before you order it, like with any other product. You’ll also want to confirm how many coasters are in the packaging – most of the time there are two coasters in a box; others you’ll find have four. Often you can find the set of four as a set of two instead, so you’re paying less. Double Duty – If you’re purchasing a photo coaster, you can double these as your place cards too. Most come with a generic “For You” insert inside, and you can always hand write place cards on the opposite side (generic place cards probably won’t fit; typically the coasters hold a 1.5″ x 2″ photo or insert). Check out all of our wedding coasters to find which one is right for you!